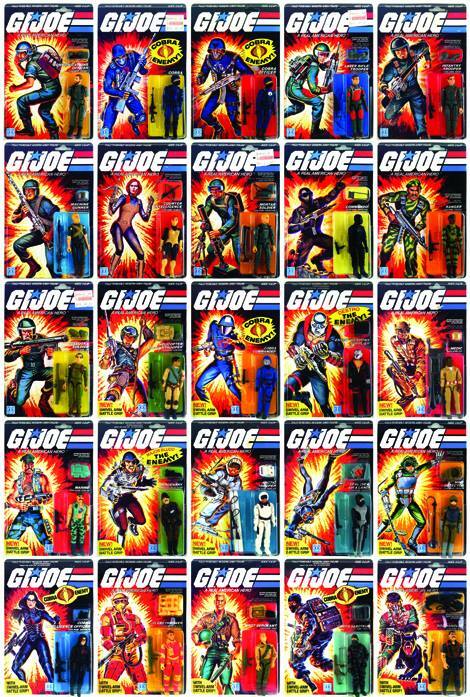 3DJoes.com wants your input on carded artwork poster! At JBL, we’re big fans of the innovative website 3DJoes.com! No other site on the web allows visitors to watch a seamless rotating image of classic ARAH-era figures. Sure, it’s one thing to look at different static images showing front/back/side/etc but it’s another to see the entire figure in such a fluid manner. Well, the folks at 3DJoes.com are developing another poster concept to help offset the costs of running the site and they need your help in deciding on the final form the project will take. “The G.I. 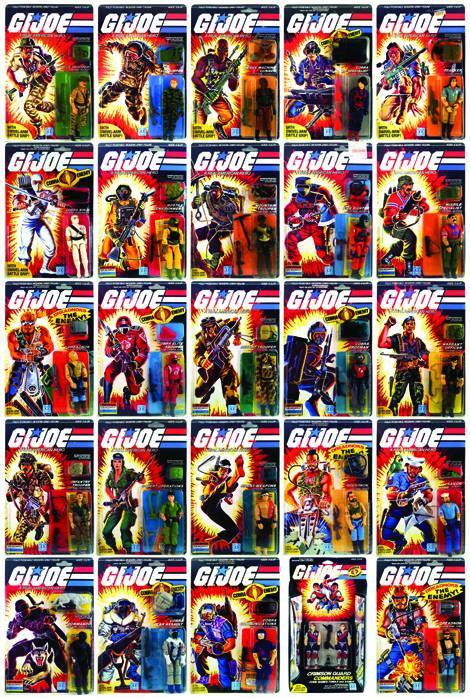 Joe Yearbook: A Visual Index of Carded Figures” page has been really popular, and several folks have recommended I make a poster of it. So, I started working on the first one tonight, featuring the 1982-1985 single carded figures. I figured this would be a good first group since they all featured the 2D G.I. Joe logo. 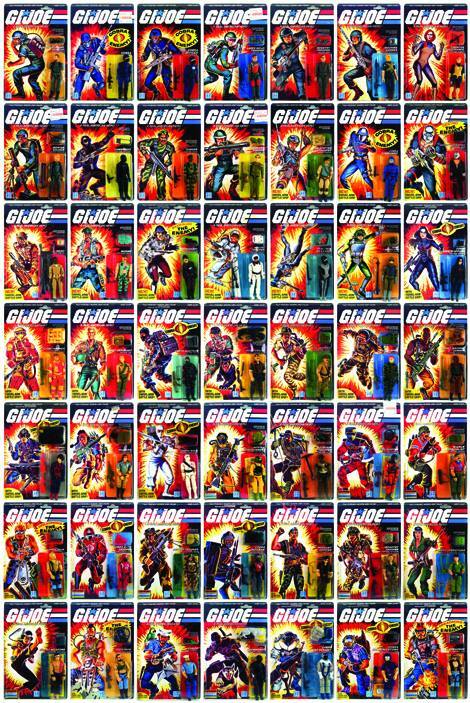 As I started designing the poster I realized they could all fit on one poster (without including the Tomax & Xamot two pack), or they could be split up over two posters (and the twins could be included). I’m torn over which I prefer. My gut is print them all on one poster, but I want to see what the rest of the community thinks before making a decision. Please go vote either on HissTank.com or OG13 and let me know which option you’d rather buy! Check out the two mirrored image options below and then head on over and make your voice heard as to which piece of wall art you’d rather display in your Joe room! This entry was posted in Fandom, Toys and tagged 1:18 scale, 3DJoes.com, A Real American Hero, Fandom, poster, Toys by Fred Meyer. Bookmark the permalink. I agree that option one (with them all on one poster) is best. You are the best. Thanks for helping to get the word out!